This was taken at 12 weeks. I will be 16 weeks on Tuesday. 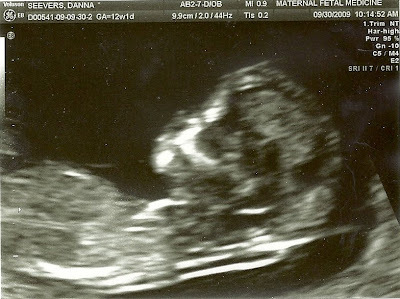 It still amazes me that at only 12 weeks there is a completely formed little human in there! Luke thinks this profile shot looks like a girl because he sees "long hair"!